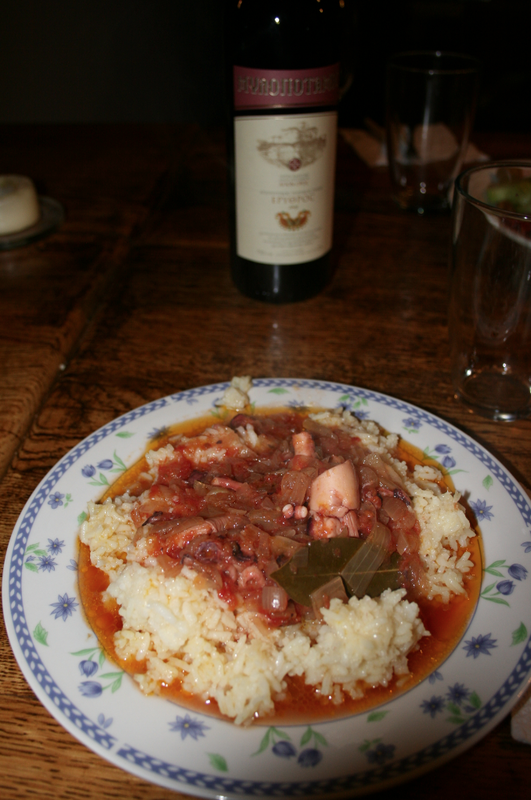 In Mylopotamos we got Octopus with rice cooked by father Joachim, recipe father Epifanios. We drank the Mylopotamos red wine. Wonderful meal, the best I ate at Athos ever. 2009. Father Epifanios wrote the cookbook The Cuisine of the Holy Mountain: ISBN 978-960-398-335-4. 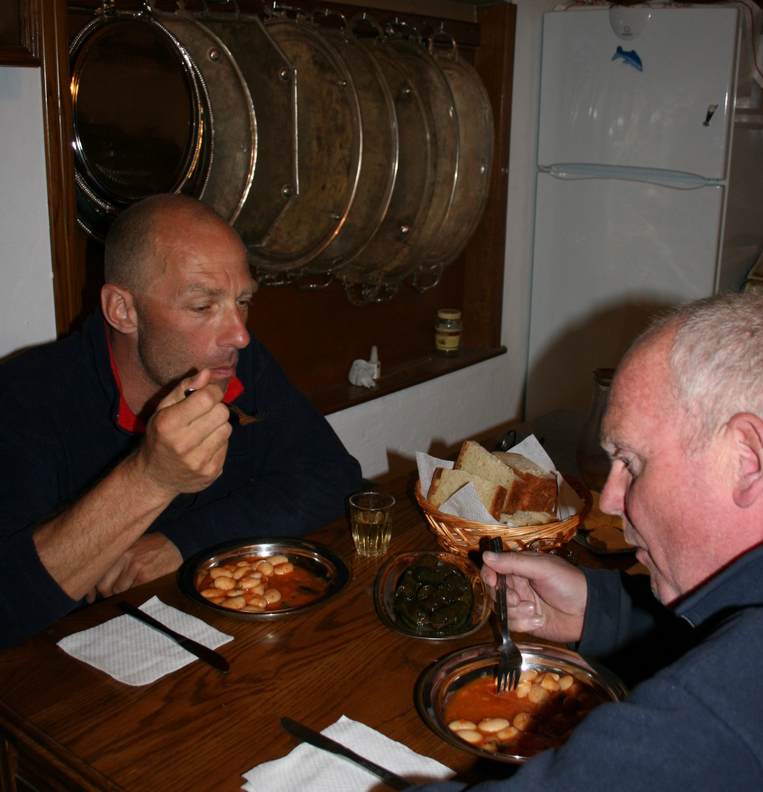 After returning from climbing the mountain (2026 meters and back) in 2011 we got a delicious meal in Sk. Anna with rice, salads, peppers and plenty of olives and bread. 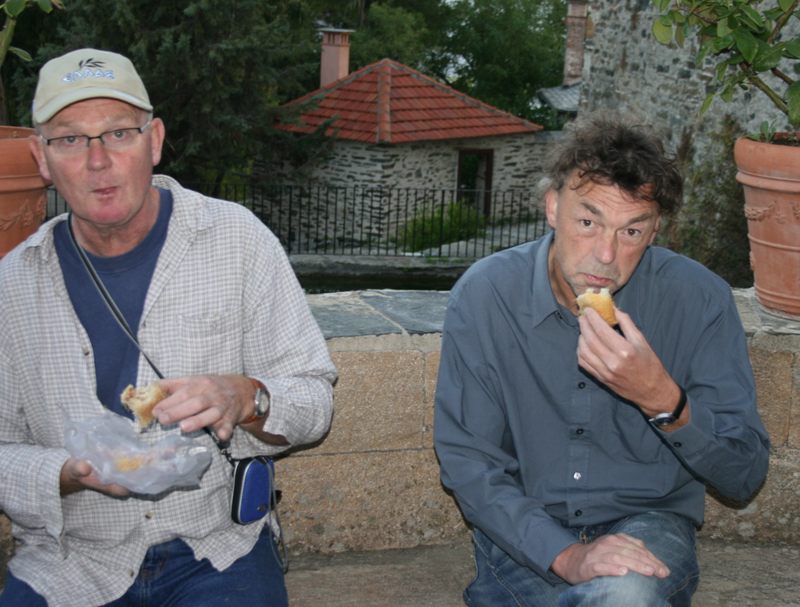 In Lavra in 2007 we ate a small fish with potatoes at the marble tables in the old refectory. The oldest dining room in the world?? I don’t thing so but the place is stunning. In 2007 I also climbed the mountain. 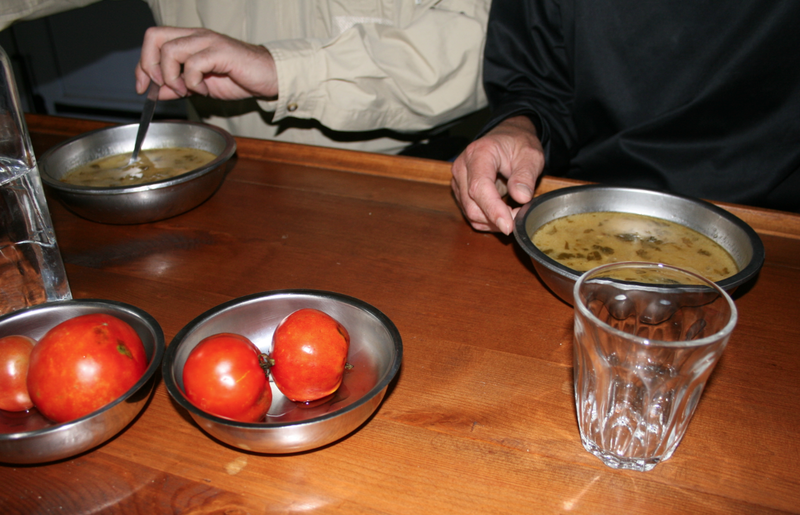 We arrived late in Paulou where we ate white beans in cold tomato sauce in the kitchen. But when you were on your feet for 12 hours, climbing and descending, you eat anything. It tasted wonderful. 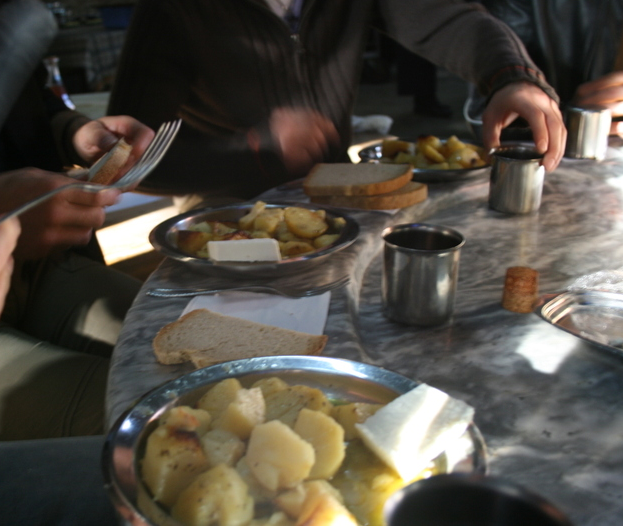 The best breakfast we had in 2009 in Vatopedi: kataïfi. 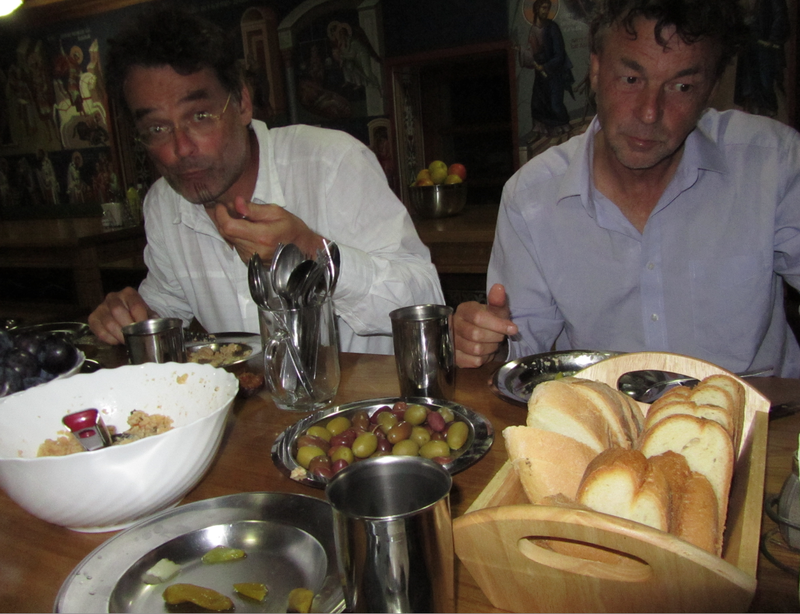 (thanks Bertinos) More about food in monasteries here. This entry was posted in food and tagged Epifanios. Bookmark the permalink. 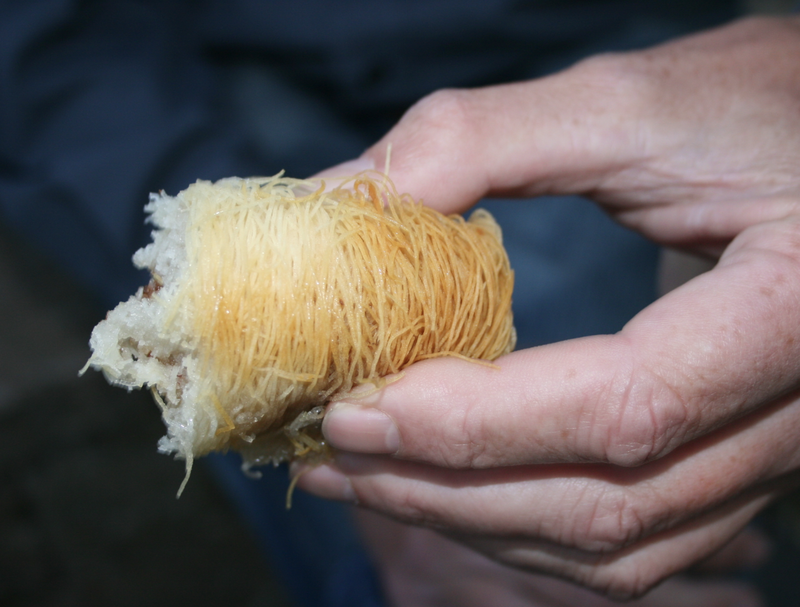 It looks more like delicious kataïfi (http://en.wikipedia.org/wiki/Kataifi#kataifi).